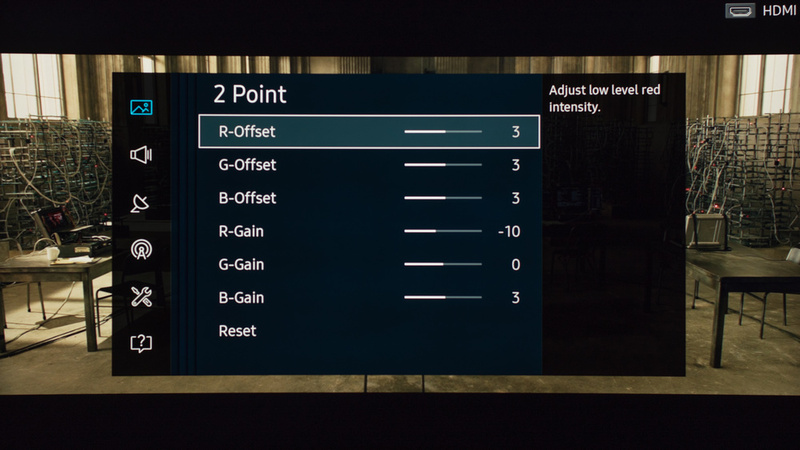 On this page you will find the calibration settings we used for our review of the Samsung KU7500. They are designed for watching movies, but with some adjustments described below will work well for all content. 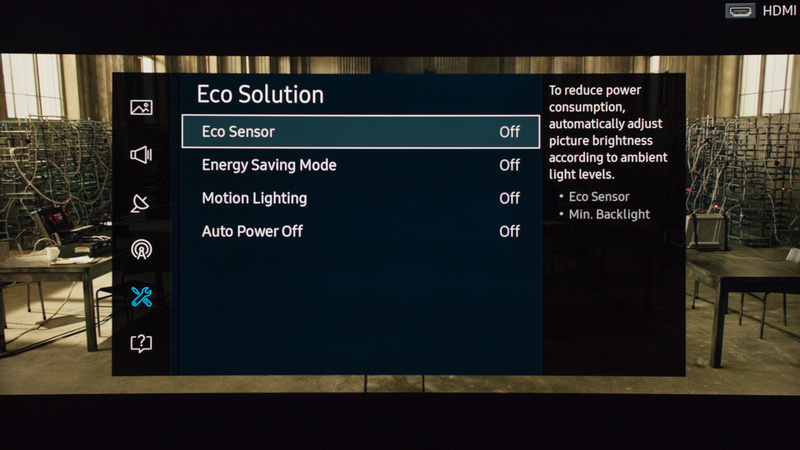 First we disable all of the 'Eco Solution' settings. These adjust the backlight depending on the environment, which can be distracting. By disabling all of the options we obtain the best performance. 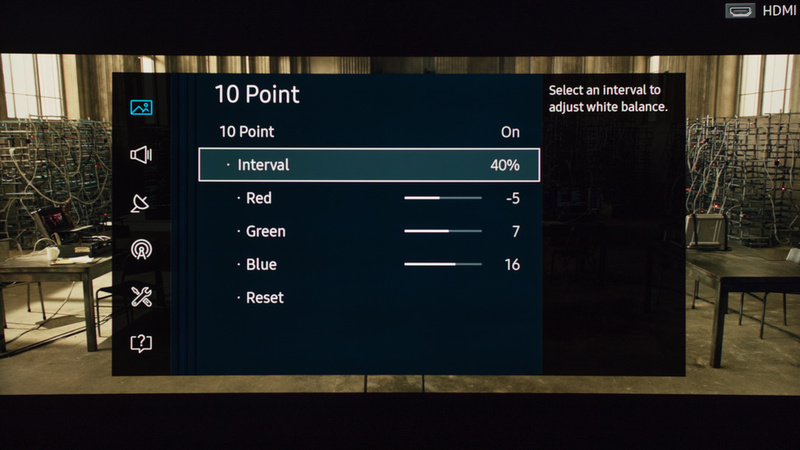 If you intend to use the TV as a PC monitor, change the input icon to 'PC' to enable support for chroma subsampling. If you are using it for console gaming, select the 'Game' option under 'Special Viewing Mode'. 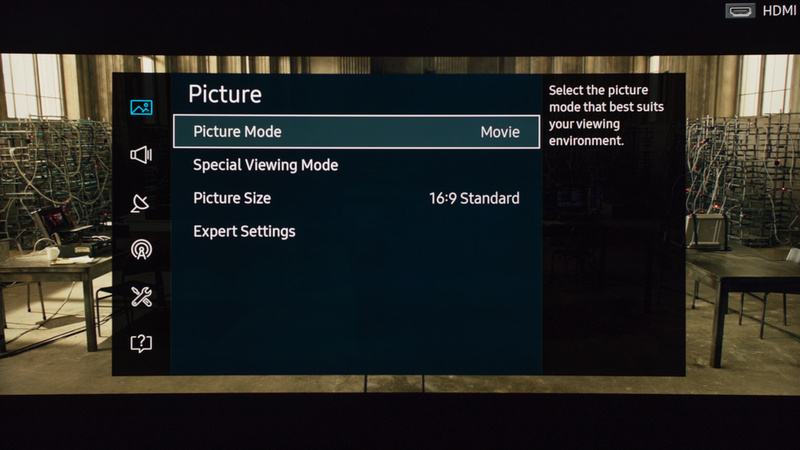 For watching movies, change the picture mode to 'Movie' as it provides the most accurate image. After selecting the correct picture mode, follow the available settings below. We set the backlight to 5 for our completely dark room. You can adjust this depending upon your preferences and your ambient lighting. This won't affect the picture quality. We leave the 'Brightness' at the default value of 45, and increase the 'Contrast' to 100. This allows us to get the largest range of contrast for our picture. Set the 'Sharpness' at 0 to avoid any over sharpening. 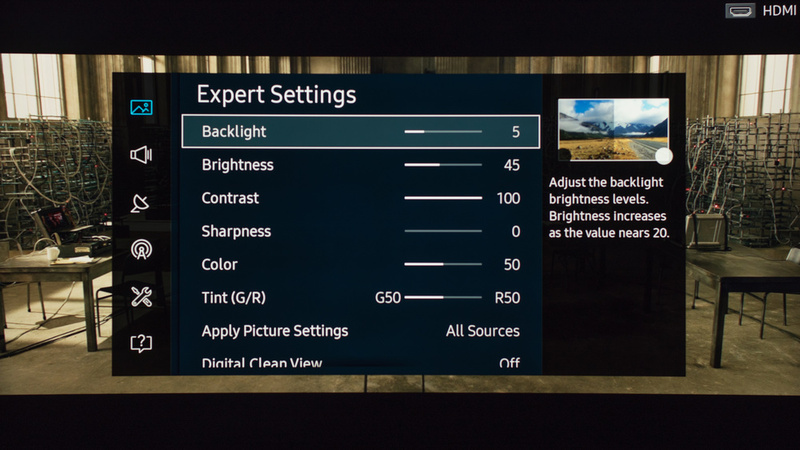 If in 'PC' mode, a sharpness value of 50 is no added sharpness. We disable 'Digital Clean View' to obtain the image which is most true to the source material. 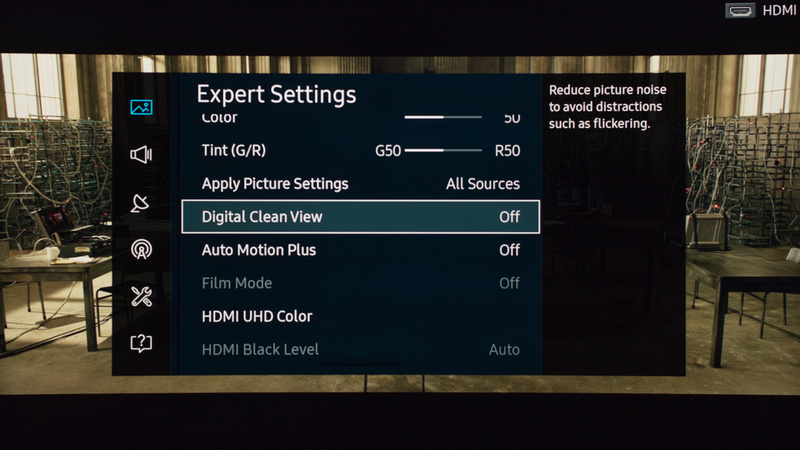 You can enable this if you watch lower quality content such as cable TV and DVDs. 'Auto Motion Plus' is the motion interpolation setting. Enable this if you like the soap opera effect, and it will smooth the motion. This will introduce artifacts, so if you dislike it then disable the setting. 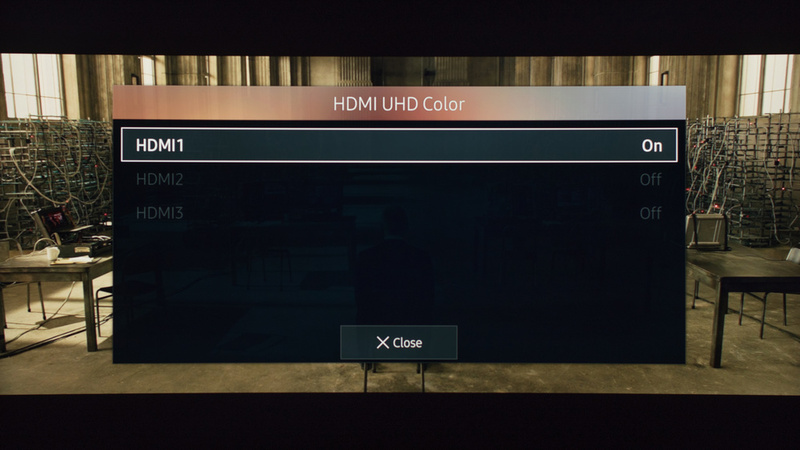 Enable 'HDMI UHD Color' if you intent to connect devices which will use the full HDMI 2.0 bandwidth. Note that this is only available for HDMI1. This could be a PC running at 4k @ 60Hz @ 4:4:4, or a HDR gaming console. 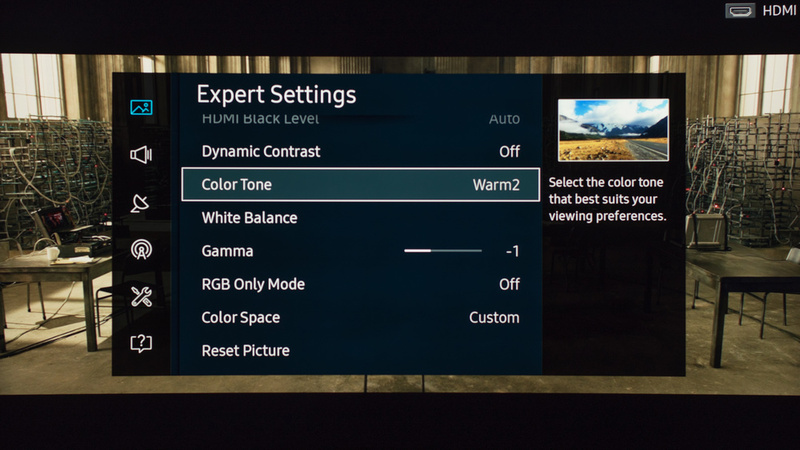 We set the 'Color Tone' to 'Warm2' as it is closest to our warm calibration goal. If you find the picture too dull or yellow, you can set this to a cooler value. We also set the 'Gamma' to -1, as this provides the closest result to our 2.2 calibration goal. If you find that you are losing details in the shadows of dark scenes, you can decrease this further.